Okay … we have finally taken the first steps (or maybe “arm rappellings”?) of the journey here as Riko and Reg make their way down the rock cliff walls of the first layer of the Abyss at astonishing speed, covering some 850 feet or so. Fortunately they did not run into any predators, though if they kept to the mist or occasional patch of clouds or fog that may have helped hide their swift descent. 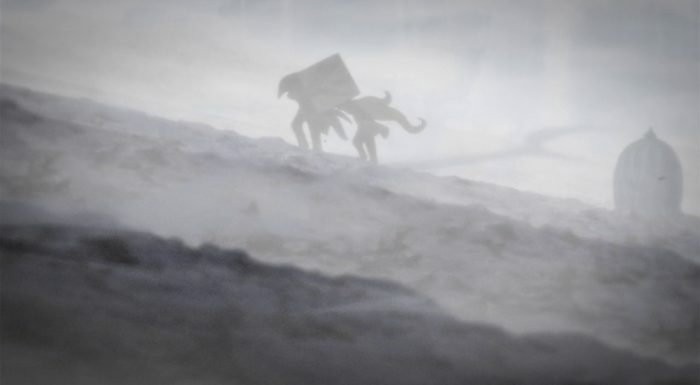 By the end of the episode they have already made their way to the second layer, a rare feat for most of the whistles, and as the narrative draws to a close they are making their way to the Seeker’s Camp. 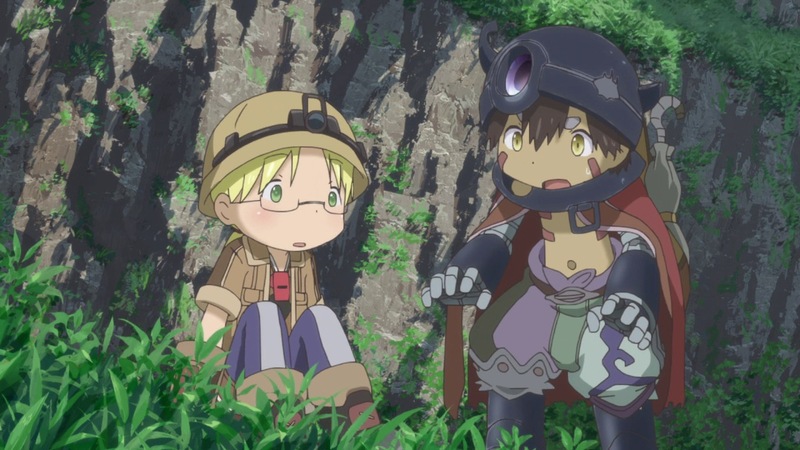 Now even though I mentioned that Riko and Reg made it 850 feet down to the very bottom of the first layer of the Abyss, it is not that their journey from that point to the top of the second layer was without mishap. 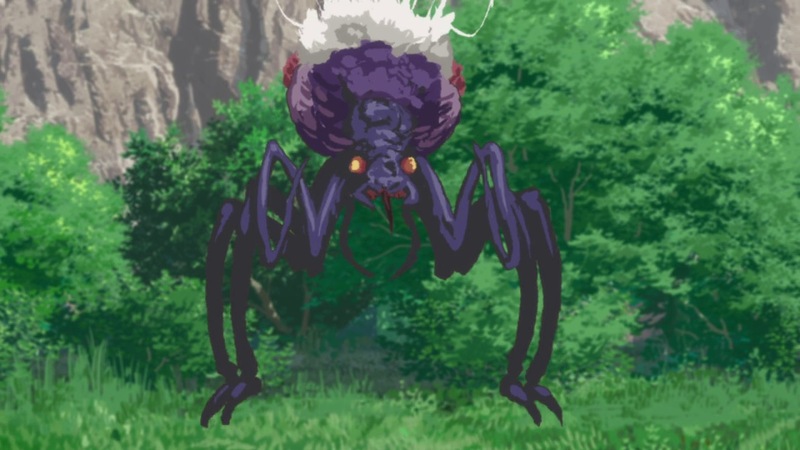 They did encounter a monster known as a “silkfang” – a spider-like creature that hunts only in a “territory” marked out by a non-sticky, thick’ish thread. Fortunately for them they fled – Reg palmed it’s forehead and used it as a weight to rappell far downward and away from it. 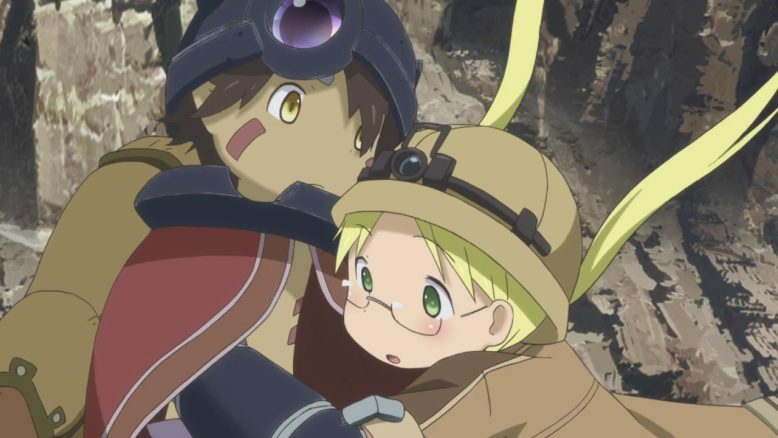 But as detailed in the previous episode it was not only the monsters that were the problem; Riko began suffering from the curse of the Abyss rather quickly (Reg was unaffected, as expected) and while she was able to escape it’s effects, it was only through means that were very fortunate and unexpected. 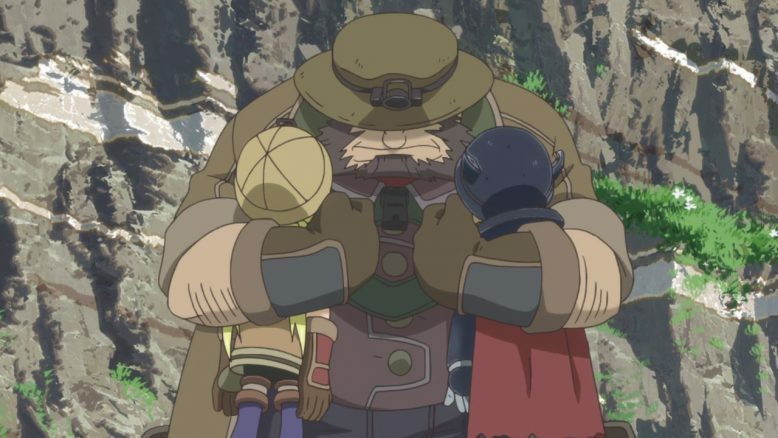 It turns out that not only did “Leader” from the orphanage easily guess what Riko (and Reg) were up to, the latter’s friends persuaded Habo (the large, stocky husband of the shopkeeper who brought Lyza’s letter back to the surface in episode two) to make his way down to help the two make their way safely to the Seeker Camp on level 2 and to the White Whistle who lives there; a very famous delver named “Ozen the Immovable” (in fact it turns out Ozen was the one who helped Lyza carry Riko back to the surface after she had been born in the Abyss proper). 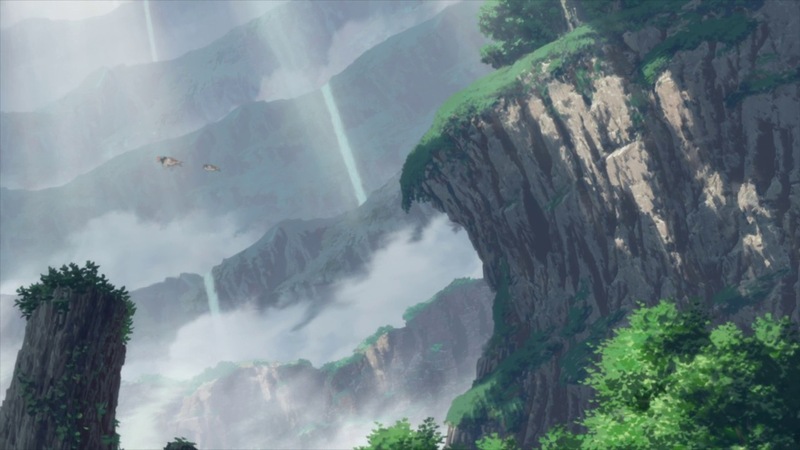 Habo brings aid in the form of food and medicine – drugs to counteract the early degrees of the Abyss’ curse – but his offer to guide them to the Seeker’s Camp is refused. Really, it is here that the story really begins to take off, but it is during and after the events of both the journey to and finally how and when Riko and Reg will eventually arrive at the Seeker Camp and meet Ozen (a mysterious figure who Habo warns the pair to be cautious around – seems all White Whistles are a little “touched” in the head somehow) … THAT is when the narrative will really “get into it’s stride” and remain “singing that tune” all the way through to the end, gradually slipping more and more into episodic compositions along the chromatic musical scale and becoming downright disturbing at times. And Ozen! Man … I positively can’t wait to see what the studio is going to do with that character! A little foreshadowing material incoming with the next paragraph here, so be warned all who wish to avoid light hints and spoilers and go straight to the end of the post! I already mentioned that all White Whistles seem to be a little touched in the head, and in some ways they are a sort of iconic representation of humanity’s more intimate interchanges with the Abyss proper. In some ways the various weird, Cthulic, deadly monsters that begin heavily populating the levels proper from level two and downward are the tip of the iceberg – things that are visible, semi-identifiable and categorized as “not human” and easy to categorize as “other”, just as the Abyss itself and it’s mysteries are representive thereof in more mysterious ways. But for the humans themselves this is most clearly reflected via the White Whistles, and in so many ways. This will become clearer when Ozen steps into the narrative – believe me.